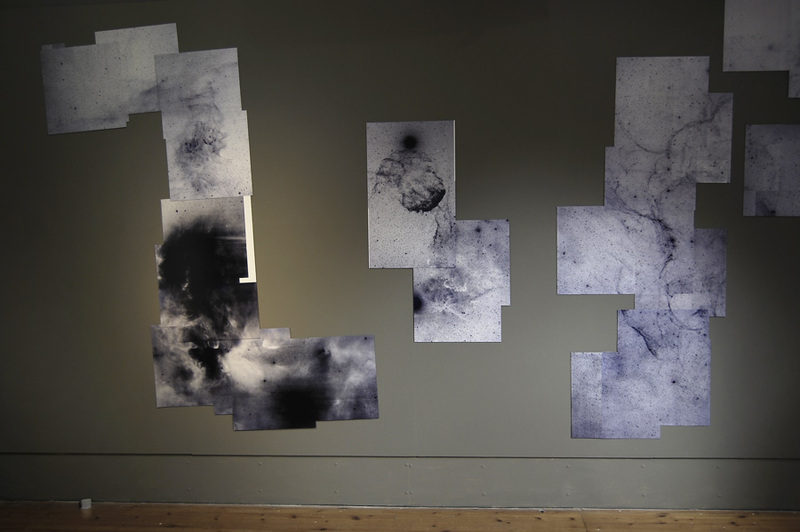 For Dark Matters, I was commissioned to work in collaboration with Dr Eckhard Sutorius at the University of Edinburgh. I used this opportunity to source data informing the development of a series of lithographs. 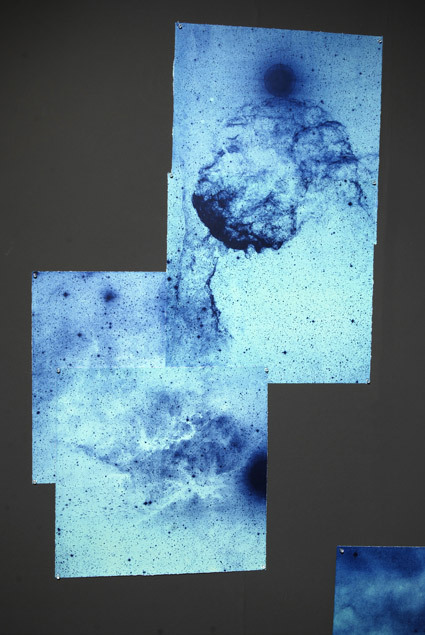 Using images directly from Schmidt glass photographic plates digitised by the UKATC’s SuperCOSMOS machine. 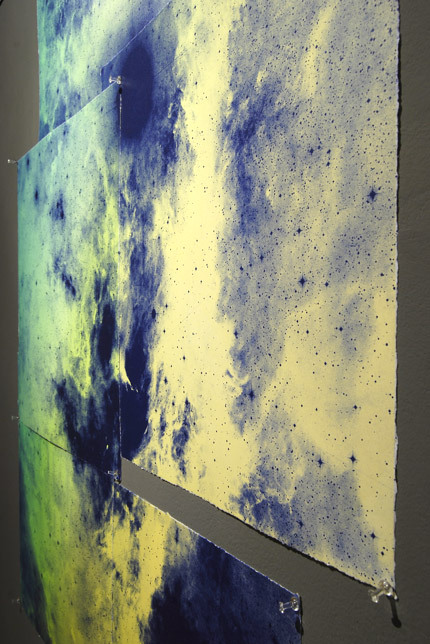 The resulting installation was composed of square lithographs assembled into groups to form a large-scale mozaic of a stellar-region. 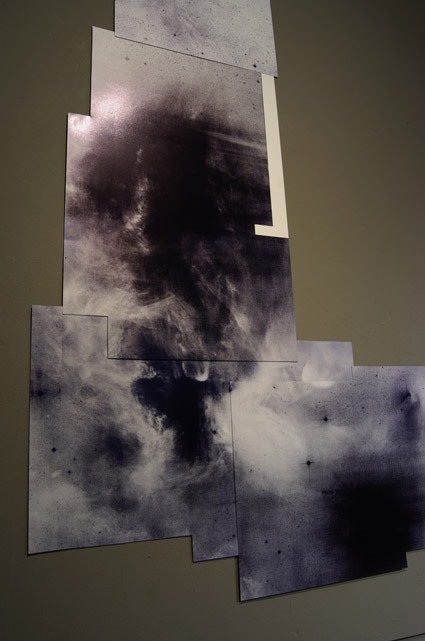 A mirrored jigsaw of star coordinates researched and edited down from an existing database, one side of the room shows the lithographic plates, the other side the prints themselves. 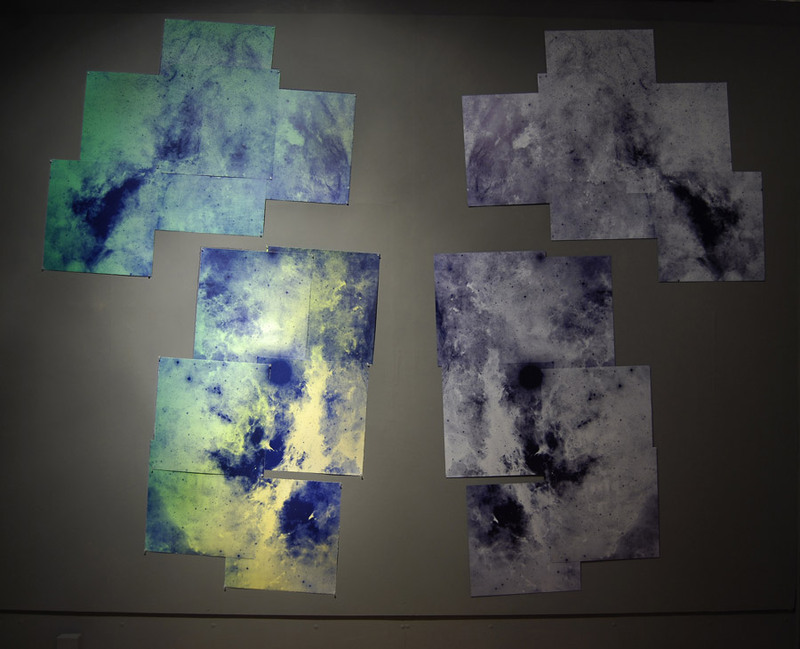 I assembled the lithographs into groups to give the effect of a scientific jigsaw. But the overall display is not contiguous; this jigsaw is not, and cannot ever be, complete. 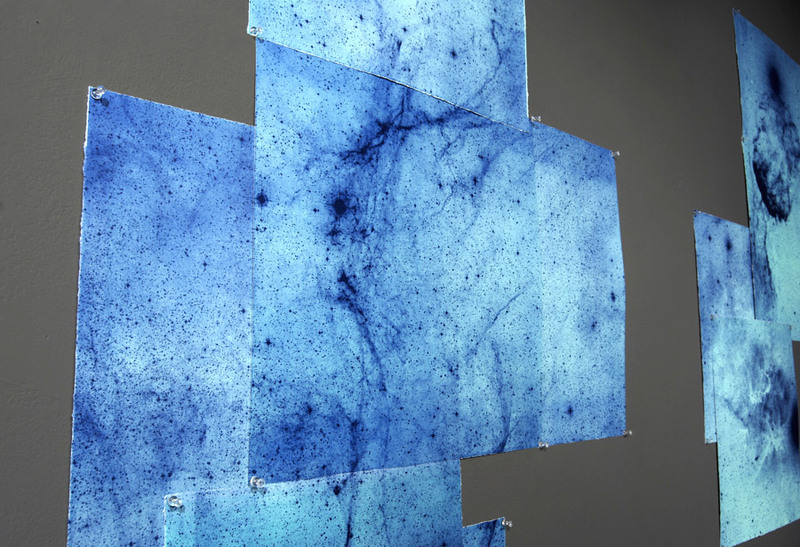 The spaces between the lithographs are metaphors for the gaps in our collective knowledge of the sky. 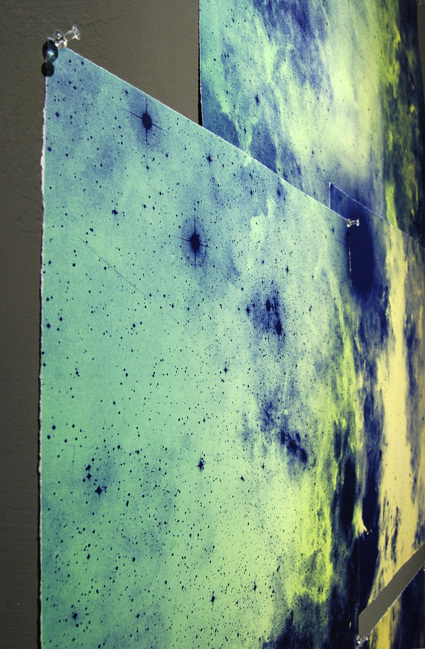 They also signify the partial view we have of the Universe, astronomers have suggested that ‘ordinary’ light-emitting matter only accounts for about 4% of the overall mass of the Universe. The rest is dark. All we can ever observe, with our eyes or telescopes, is a thin foam of light floating on the top of this deep dark sky. 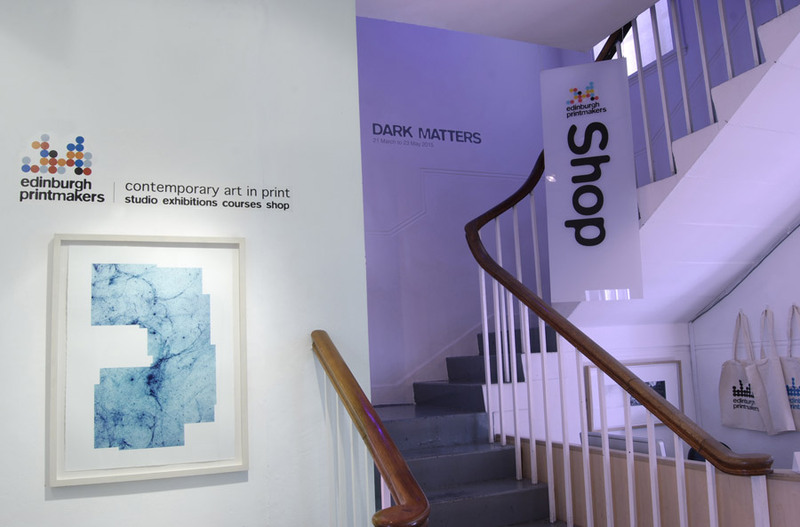 Dark Matters is a project commissioned by Edinburgh Printmakers, pairing artists to create work in collaboration with astronomers and space engineers at the University of Edinburgh and the UK Astronomical Technology Centre. 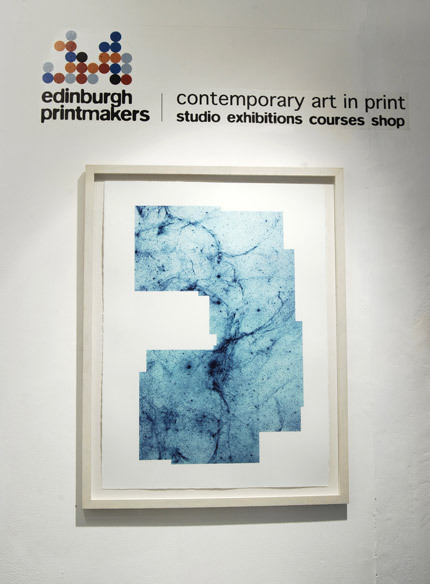 Curated by David Faithfull. 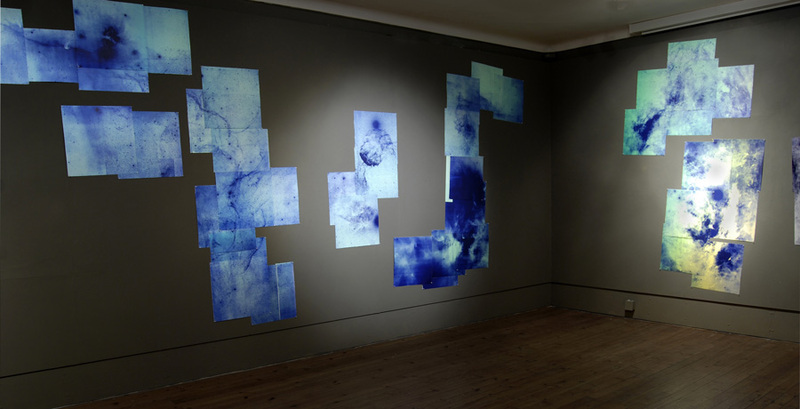 The installation was shown alongside an installation by Mike Inglis.